Circuit: MODULATED LASER DIODE TESTER__ Circuit designed by David A. Johnson, P.E. 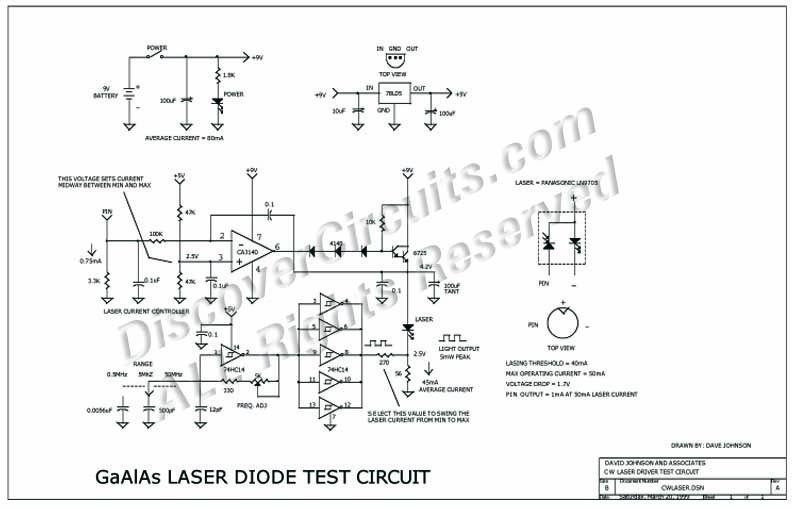 This circuit can either be used to test laser diodes or as a general purpose modulated light source. The circuit has an adjustable diode threshold current and an adjustable modulation frequency. The frequency can be adjusted from below 30KHz to above 50MHz. It is powered from a 9v battery.